This is the first in a series (if I get around to making them) of smaller adventures set in and around the village of Eronev explaining some of the things that were not explained in the first two maps. 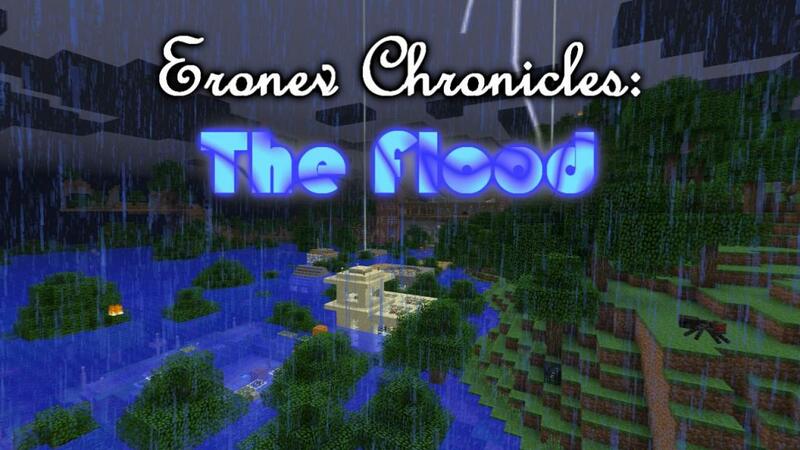 By the time the Eronev Chronicle maps are done, you should be all filled in and ready for Eronev 3 (if I ever get around to making it) I hope to make each Eronev Chronicles map to be a different genre from the rest. I love exploring different types of maps! If you’re playing in multiplayer the difficulties are graded down. Normal is Easy in multiplayer. Hard is normal in multiplayer. The difficulties have been balanced for single player only. This map is NOT compatible with certain bukkit plugins because it uses vanilla command block commands. If, for some reason, you didn’t spawn at the beginning, the starting coordinates are: x:445 y:024 z:272 but keep in mind, this maps works with loaded chunk timers, so being where you shouldn’t be at the wrong times could mess up the map. Weird, there is no reason it would be lagging more or less when you rescue anyone in particular. They all use the same sort of circuit. Took me a while, but I got it! I saved them all! Pingback: Jigarbov.net | So What’s After BOB?